This Ivory T Adapter allows you to share two devices on one phone outlet. RJ11 RJ14 has four conductors which is used for normal telephone applications. Converts single jack to triple jack. If you have two Phone lines coming into one wall Jack, both will be available to all three. 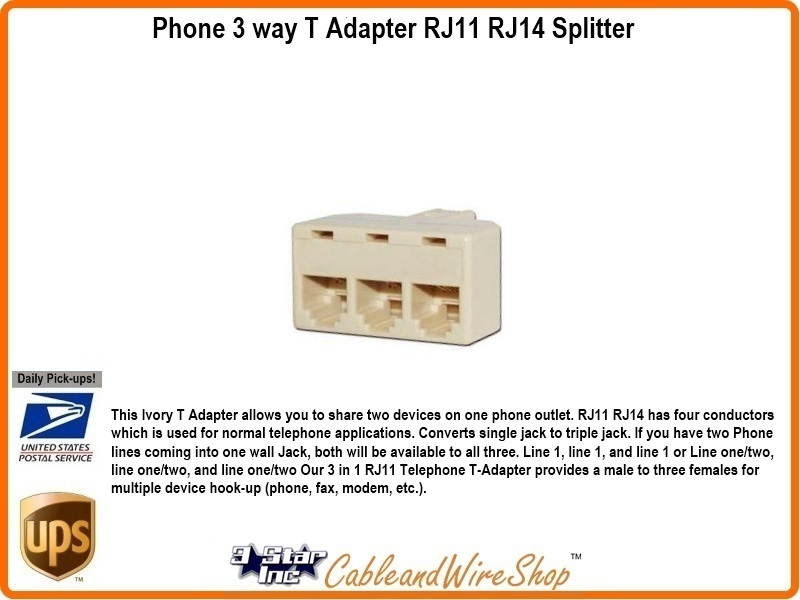 Line 1, line 1, and line 1 or Line one/two, line one/two, and line one/two Our 3 in 1 RJ11 Telephone T-Adapter provides a male to three females for multiple device hook-up (phone, fax, modem, etc. ).